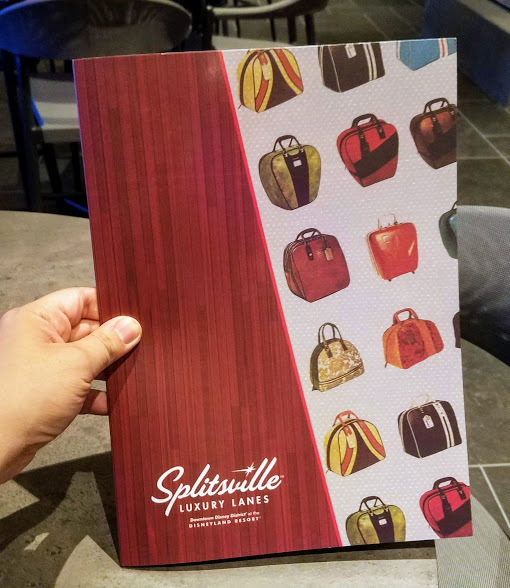 Sasaki Time was invited to a preview of the new Splitsville Luxury Lanes in the Downtown Disney District at the Disneyland Resort. 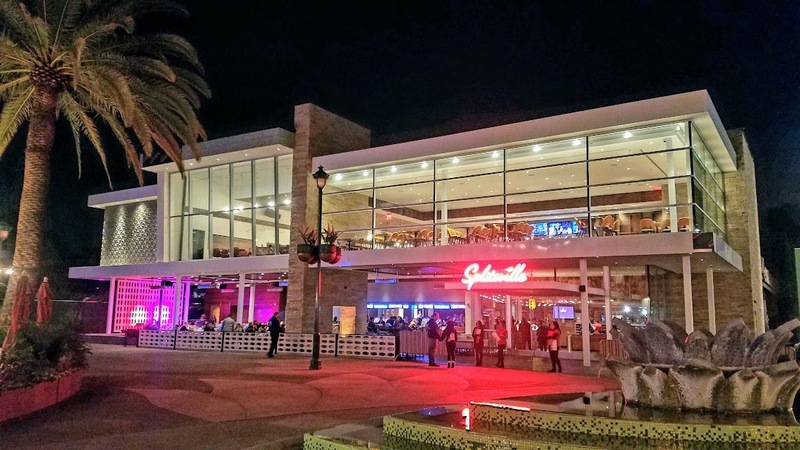 This retro 1950s looking bowling, entertainment and dining venue sits on what was once the home of The House of Blues but the building is brand new from the ground up! I already love the large windows and the patio area! Time to dive into the menu! 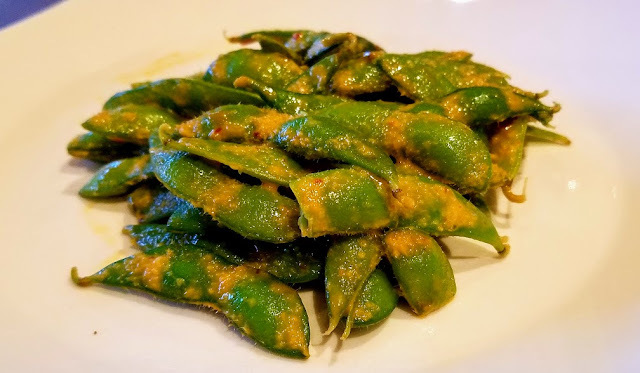 We started with the spicy edamame that is steamed and tossed with sesame oil and chili sauce. There is a great kick to it as to be expected and yet finishes with the subtle sweetness of the edamame. Wildly addicting! We also got the cheeseburger sliders. 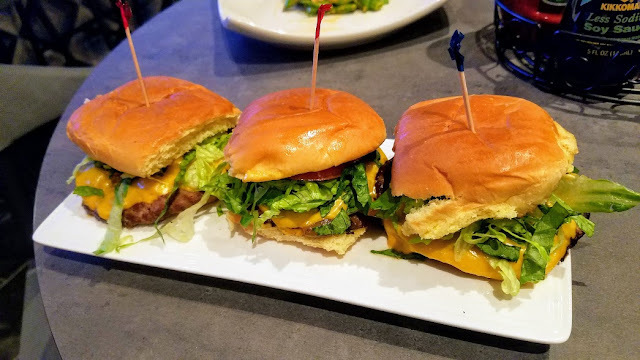 Now these sliders are pretty big and pretty tasty! Each of these nearly full-sized cheeseburgers are topped with lettuce, caramelized onions, tomatoes, pickles, special sauce and cheese! I admit these are fairly close to an In-N-Out burger. One can easily get full off of all three of these! 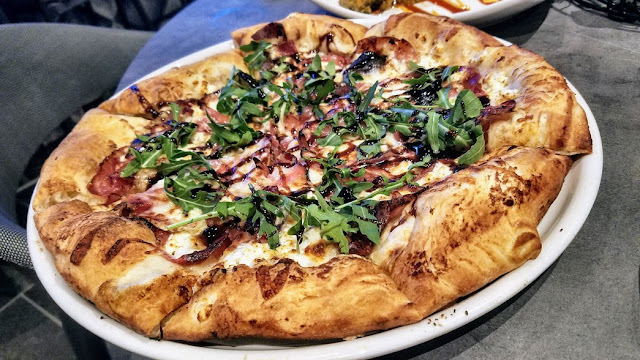 Our first entree was a fig & prosciutto pizza, A delicious blend of mozzarella and goat cheeses, fresh figs, fig jam, maraschino onions, prosciutto and topped with arugula with a balsamic vinegar dressing. A wonderfully light, refreshing pizza with a soft and tasty pizza dough. Another very filling and delightfully satisfying menu item! Also, this is perfect for sharing! 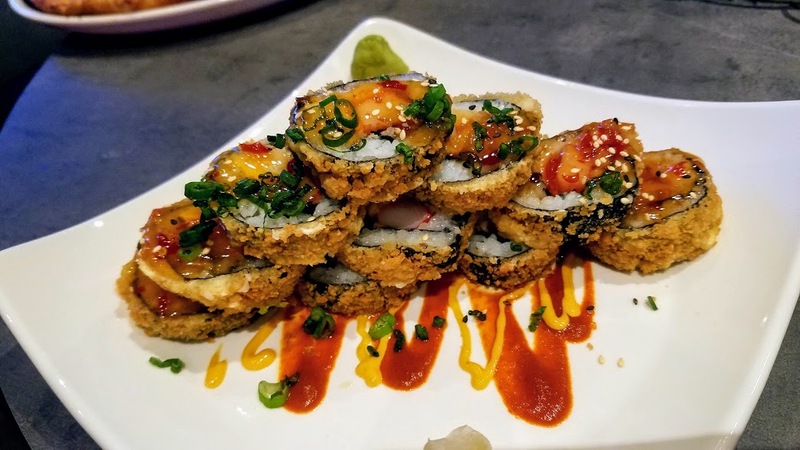 Our other entree selection was this delicious tempura samurai roll! 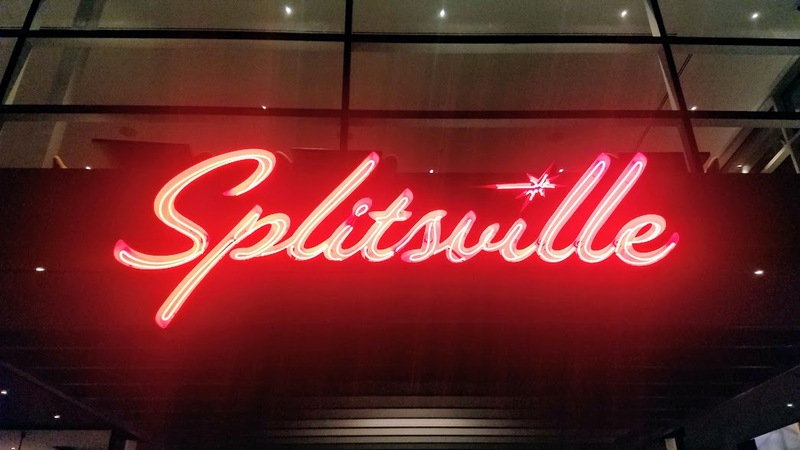 Yes, Splitsville has sushi! This large sushi roll has kani kama crab, cream cheese, chives and water chestnuts rolled and then tempura deep fried. It is then drizzled with sweet Thai chili sauce, spicy mayo and Sriracha. Sort of wonton ingredients turned into a sushi roll it was tasty and another fun dish that can easily be shared! We got the idea of doing this family style so we could share a little of everything. And of course there is a full bar with a wide assortment of cocktails, beers and wines! 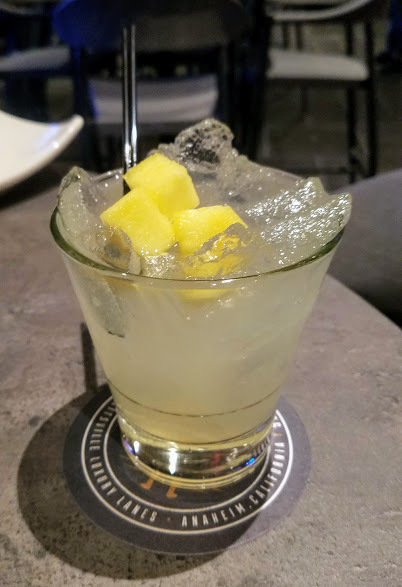 Above is The Local a refreshing mix of Rum Haven Coconut Water Rum, fresh pineapple, lime juice and simple syrup. This is a perfect summer drink that hits you with the citrus and then you get the sweet coconut to finish. The other drink we tried was the Berry Lavender, another refreshing drink mixed with fresh strawberries and raspberries are muddled with blackberry jam, EG Lavender Vodka, agave and lemon juice. 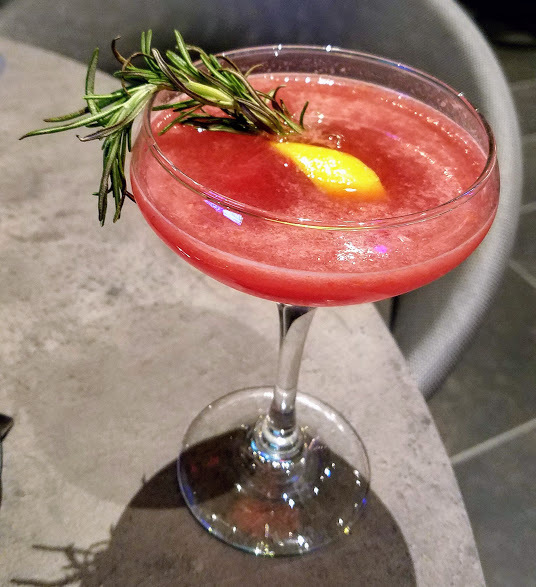 Add a sprig of rosemary and a lemon twist and the cocktail is complete! The drink starts off a bit sour but finishes sweet. A perfect drink as you sit out on the patio. After all this amazing food we still somehow made room for dessert. 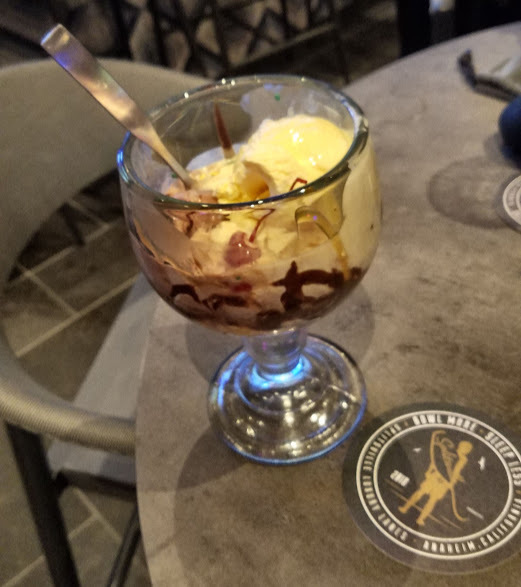 We got the Super Sundae which is made of scoops of vanilla and chocolate ice cream, caramel sauce and chocolate sauce. It was also suppose to come with whipped cream and sprinkles but some how it was missed. After our really filling meal we took a walk around the venue. There are 20 lanes of bowling spread out across the two levels. I love all the artwork you can find. 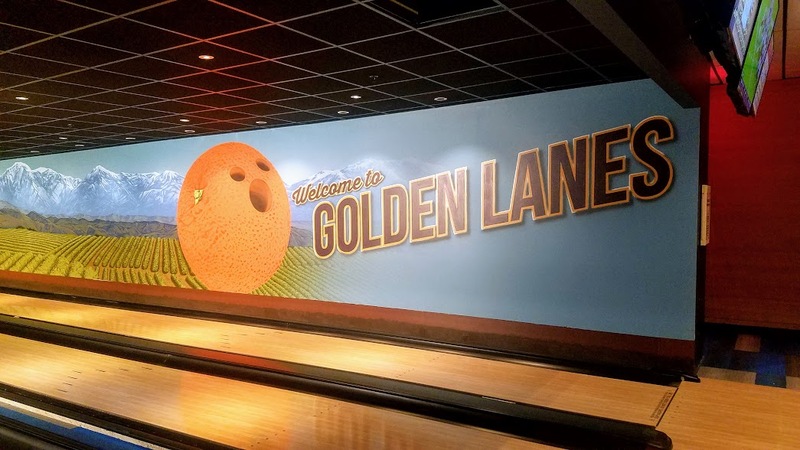 Look at how cute the bowling balls are! Greetings from Downtown Disney in Anaheim! 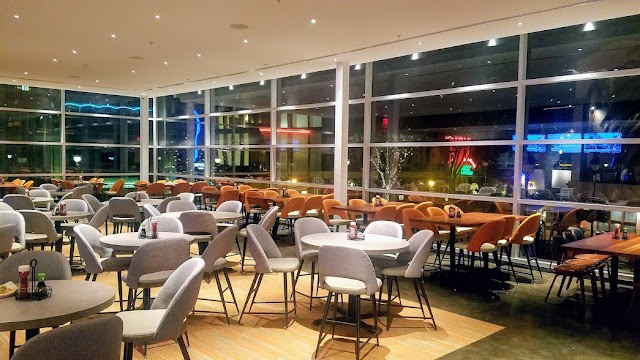 Taking a look at the second floor dining area that was nearly ready for business! 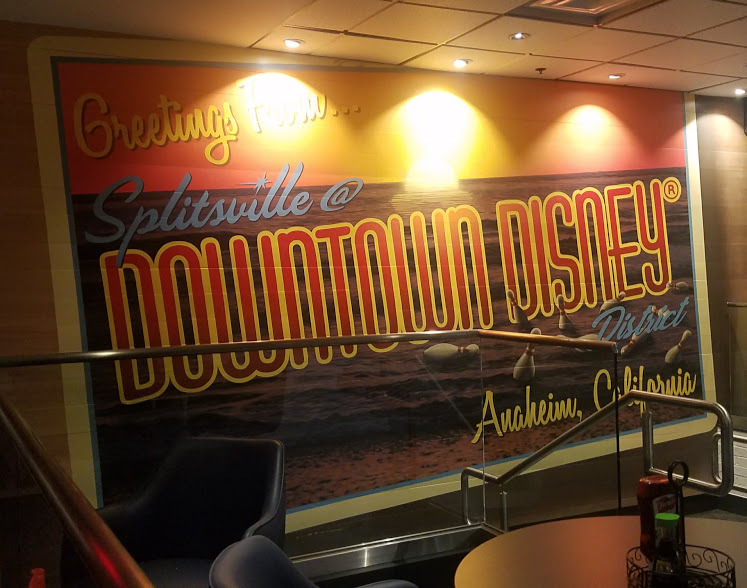 You get a great view of Downtown Disney from here! 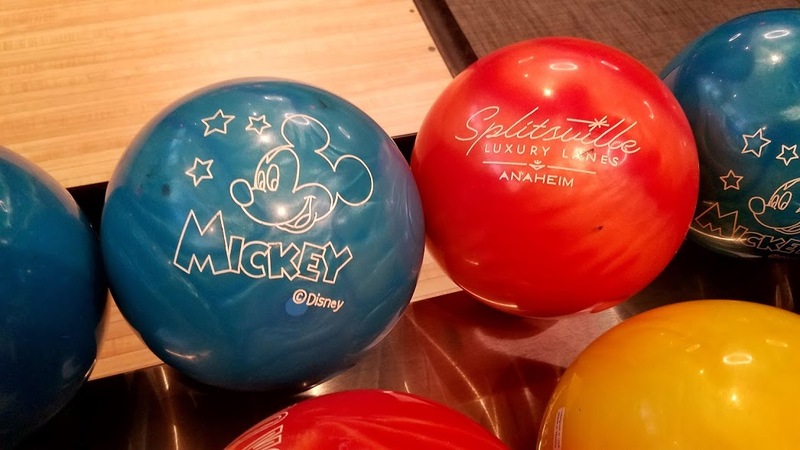 Splitsville Luxury Lanes will be a great addition to the Downtown Disney area when it opens January 29th! Great food, great drinks, and great service! Can't wait to head back when Splitsville is officially open!